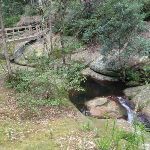 Turn right: From the intersection, this walk follows the track down steps and over the footbridge, crossing the creek. 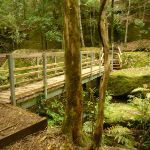 The walk continues through moist forest for about 50m then crosses a timber footbridge. 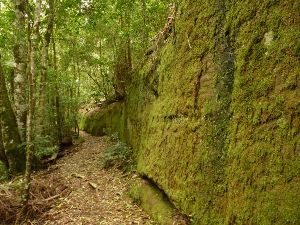 The track continues gently downhill for about 180m, to find another timber track marker and footbridge (on the left). 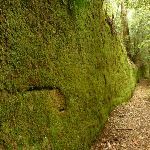 Turn left: From the intersection, this walk follows the track (at the base of the moss wall) north, with the moss wall on your right. 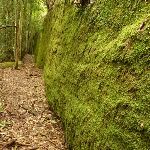 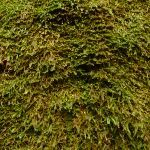 After about 100m, the walk comes to the end of the moss wall. 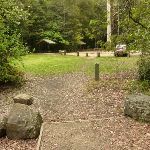 This walk continues to follow the track gently uphill (with the creek on the left and passing a timber track marker) for about 90m, until descending timber steps to a three-way intersection, with a bridge on your left. 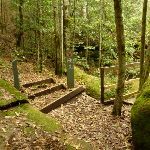 Continue straight: From the intersection, this walk follows the track gently up timber steps, with the creek and dam on your left. 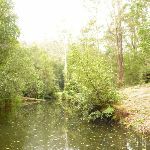 This walk follows the track (up timber steps at one stage) for about 30m, to find a high point and views into the dam. 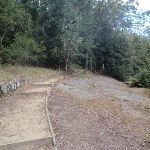 This walk continues gently downhill (with occasional timber steps) for about 45m, until coming to the boarding house dam picnic area and car park. 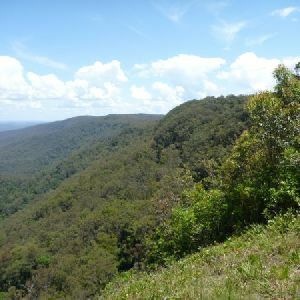 This whole walk, 720m has gentle hills with occasional steps. 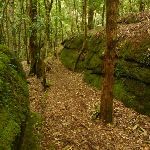 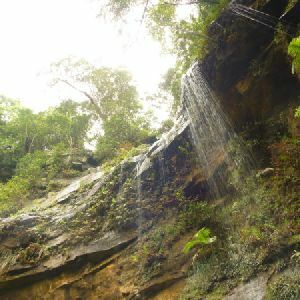 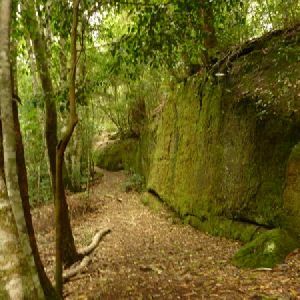 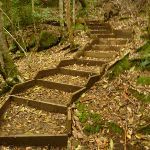 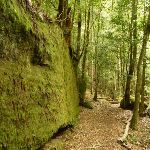 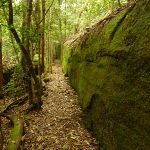 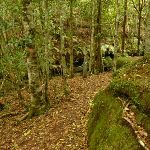 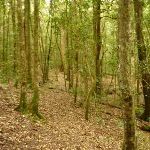 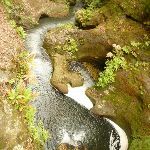 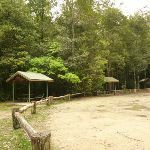 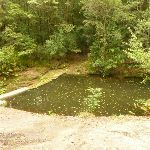 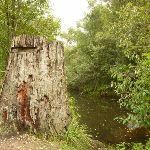 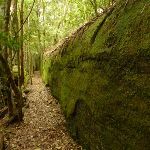 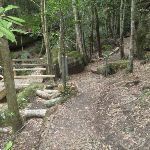 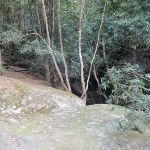 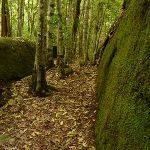 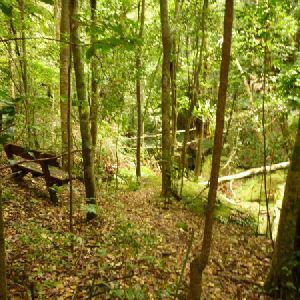 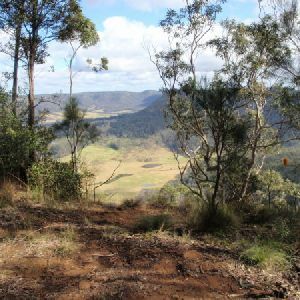 Around 520m of this walk follows a formed track, with some branches and other obstacles, whilst the remaining 200m follows a clear and well formed track or trail. 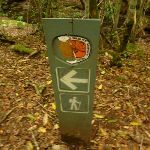 Around 560m of this walk is clearly signposted, whilst the remaining 160m has directional signs at most intersection. 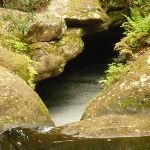 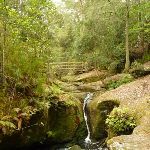 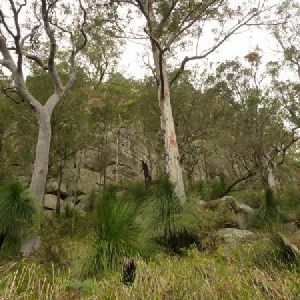 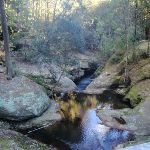 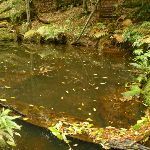 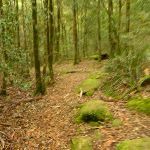 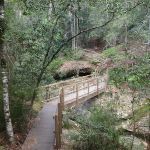 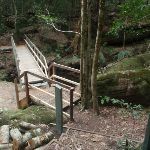 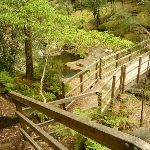 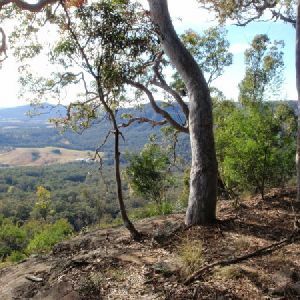 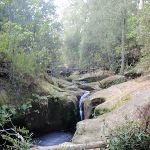 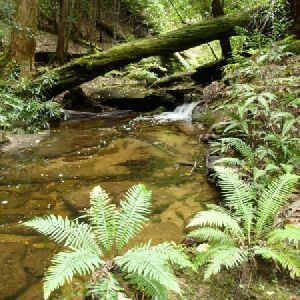 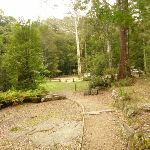 Around 560m of this walk requires no previous bushwalking experience, whilst the remaining 160m requires some bushwalking experience. 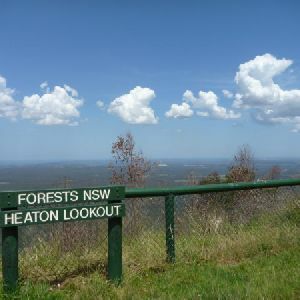 Around 360m of this walk has limited facilities (such as not all cliffs fenced), whilst the remaining 360m is close to useful facilities (such as fenced cliffs and seats). 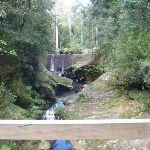 A list of walks that share part of the track with the Boarding House Dam Circuit walk. 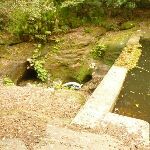 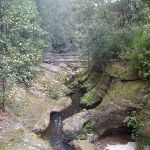 A list of walks that start near the Boarding House Dam Circuit walk. 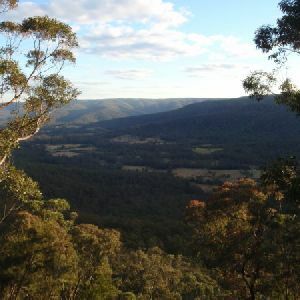 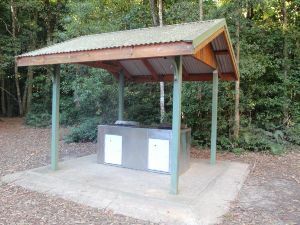 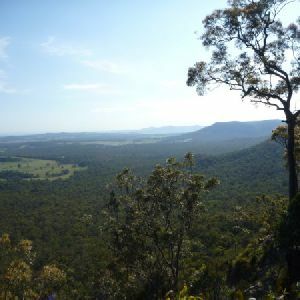 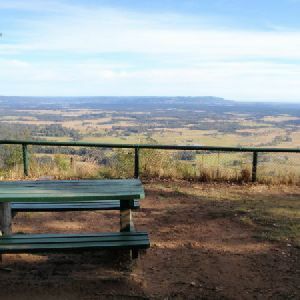 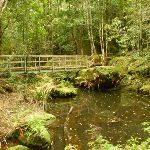 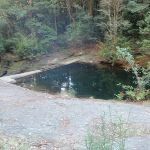 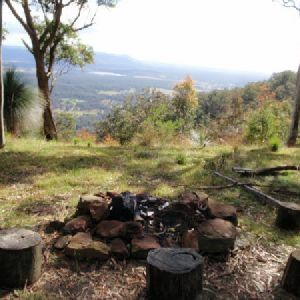 http://new.wildwalks.com/wildwalks_custom/includes/walk_fire_danger.php?walkid=nsw-wataganp-bhdl Each park may have its own fire ban, this rating is only valid for today and is based on information from the RFS Please check the RFS Website for more information.